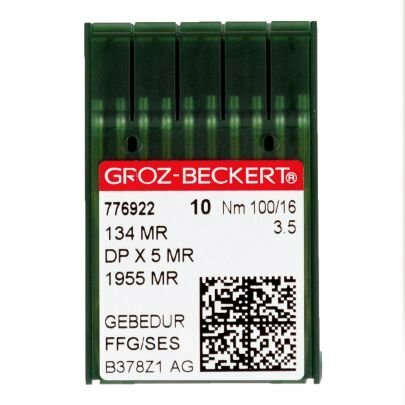 Groz-Beckert 134 MR FFG point size #16. 1 package consists of 10 needles. These needles are titanium-coated and will last much longer than standard nickel plated or chrome-plated needles thanks to its excellent abrasion-resistance. Multi-directional design means more accurate stitching while moving the machine in any direction. The MR needle style has maximum flexibility and bending to help reduce needle breaks and a deep scarf to mitigate skipped stitches.